We are living in the midst of an age where new technologies are emerging at a constant rate, changing the way human beings view and interact with the world in a huge way. While the notion of artificial intelligence (AI), bots that can simulate human conversation and autonomous vehicles were once a far-fetched futuristic notion, they are now a tangible reality – and if embraced in the right way, they can serve to have a significantly positive impact on the lives of consumers the world over – voice technology is no exception. Of all of the emerging technologies available to today’s eCommerce business today, voice technology is one of the most powerful platforms that holds the most potential. We have entered the age of voice technology and for forward-thinking eCommerce brands, like yours, the rewards of making such innovations part of your overall business strategy are likely to be great. Experts predict that in the US alone, 55% of households will own a voice-enabled personal assistant by the year 2022. By 2019, the voice recognition market is expected to be worth a total of $601 million. During the 2017 Christmas season, 40% of adults used voice search on a more or less daily basis. The growing popularity and rapid consumer adoption of voice technology and voice-based assistants such as Amazon Alexa and Google Home is undeniable, and by tapping into this mindset, it will be possible to meet the needs of your target consumers on this new and exciting playing field. Here we explore three practical ways you can leverage the power of voice technology to the advantage of your eCommerce business. A recent study suggests that 20% of all current mobile-based queries are voice searches. That said, by capitalizing on this trend, you stand an excellent chance of expanding your overall reach and boosting your brand awareness. Questions: Optimize your blog and website content for questions, using words such as ‘how’, ‘what’, ‘where’, ‘when’, ‘best’, and ‘new’ in your content’s key terms. The vast majority of voice searches are question-based, so adopting this strategy will increase your chances of ranking for voice searches. Language: Voice search by its very nature is very fluid, so you should study your website content and ensure that the language you’re using is as natural and conversational as humanly possible. Nearly 70% of requests made to the Google Assistant alone are expressed in natural language, and by writing well-structured sentences that sound like real-life verbal speech will help increase your voice search authority. Local search: With voice search queries on mobile devices becoming all the more prevalent, many consumers are using the functionality to uncover information about services, stores, and products based in their locale, by honing in on local search-based content, you will appear in more voice search results, thereby increasing your overall visibility. In addition to this, by integrating a search-based functionality into your website and primary touchpoints seamlessly, you will be able to add an extra dimension of value to your prospects while maximizing the power of voice technology. Which brings us onto our next topic. Mobile is still a powerful force in the world of eCommerce as today’s consumers like to share information, conduct research, and make all-important buying decisions wherever they are in the world at any time, day or night. With this in mind, integrating voice-based technology into your website or latest mobile app will help you increase your long term commercial success. For instance, not long ago, the online grocery retailer, Ocado, developed and launched a voice-driven grocery shopping application that is compatible with Amazon Alexa. By empowering its customers to add items to their shopping list by using natural voice commands at their leisure, adding to the brand’s already long list of point-of-purchase options, the forward-thinking company has opened a fresh and exciting portal of consumer communication, setting themselves apart from the competition as a result. “What this [partnership] tells us is that we should expect the unexpected when it comes to the way brands engage via voice and we’re certain to see some innovative approaches from brands. The agreement between Amazon and Ocado may well be an indicator of what we’re likely to see more of in the emerging voice application marketplace. By experimenting with voice technology in your mobile app strategy and developing a simple solution that provides a practical solution to your consumers’ biggest roadblocks, you will enjoy a great deal of success. And when you think about it, being able to place orders, create shopping lists, and reorder items with ease is one of the most common desires of today’s consumers concerning convenience; therefore, this is something that you should prioritize. As these are devices still in their infancy, there is a huge amount to learn and discover about the likes of Google Home and Alexa – but by focusing on these already widely adopted devices early on, you’ll increase your value proposition, and in turn, attract a host of new customers. 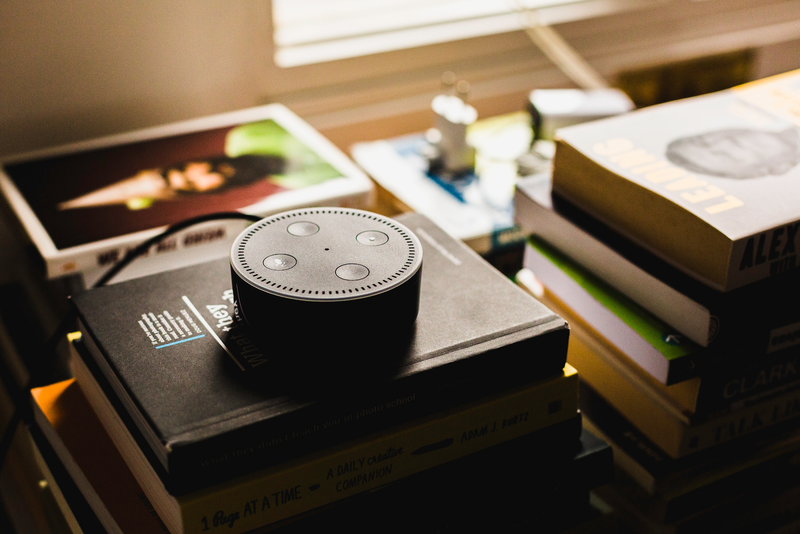 The consumer convenience of voice assistants offers eCommerce businesses additional scope for developing the kind of dynamic branded content that inspires their audience on a whole new level, earning increased levels of web traffic and conversions in the process. An effective means of delivering creative, bite-sized, and voice-centric snippets of branded content to your customers through the medium of Alexa, in particular, is by utilizing the previously untapped potential of Alexa Skills. Take the whisky colossus Johnnie Walker, for example. Not very long ago, the brand developed an Alexa skill that allows its users to pick a whisky label based on their personal wants and preferences, buy a bottle, learn more about the field of whisky-making and its history, or enjoy even a guided voice-led tasting. As a result of this smart initiative, the Johnnie Walker brand has tapped into a whole new marketing discipline – one that will increase with value, popularity, and power in the near future. It seems that the voice technology revolution has been a long time coming and that this intuitive balance between man and machine is a match made in heaven. As time ticks on, more people will begin to engage with voice technology and if you are able to deliver content, applications, innovations, and functionality that meets their needs, you can be sure that longevity, growth, and success will be yours for the taking – so don’t miss out. Another excellent way to engage your consumers in the most effective way possible is by creating buyer personas. If you want to know how you can do this, read our step by step buyer persona creation guide.